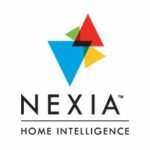 BROOMFIELD, CO, June 22 –Smart home leader Nexia™, a brand of Ingersoll Rand (NYSE:IR), today gave subscribers the ability to control Nexia-certified devices in their home – starting with lighting, thermostats and plug-in wall modules – with simple voice commands through Amazon Echo. Additional features will be added soon. Nexia is a leading smart home system and a brand of Ingersoll Rand (NYSE:IR). Powered primarily by secure Z-Wave and WiFi technology, Nexia allows users to expand their systems with hundreds of devices from some of the nation’s top manufacturers – including Schlage, General Electric, First Alert, Trane, American Standard Heating and Air Conditioning, Andersen and Pella – to create a truly smart home that adjusts to busy lives. For more information, visit www.nexiahome.com.